Professional Computer Solutions offers reliable fast high speed internet at an affordable price. Our DSL service is available to residential and business customers in most of the CenturyLink areas throughout the US. If you have Qwest/CenturyLink as an option for your local telephone provider, our high speed internet may also be available to you! *Qwest/CenturyLink line charges vary by location and speed and are not included below. *Prices are NOT “Promotional Pricing that double or triple in 3 to 6 months”. These are the every day, never had a price increase, standard charge, with no multiyear commitment or $200.00 penalty for early termination. 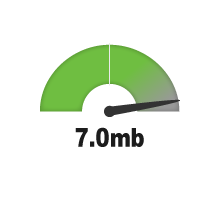 The DSL 7mb service is optimized to handle multiple online sessions at one time. Shop online, access your online bank accounts, and stream music all at the same time without having to wait! 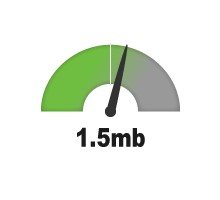 The 1.5mb DSL is designed for customers who need extra speed for transferring large files like music and videos. This service is great for checking emails and surfing the web! It includes all the same features as our 256kb plan except it's 6 times faster! The 256kb DSL connection is an "always" on service, and you are able to use your existing phone to talk while using the internet! For dial-up customers who have a dedicated line for internet access, you will actually save money with this plan as you no longer need a 2nd line! This service is great for surfing the web and checking emails! Professional Computer Solutions offers high speed DSL internet services to residential customers at a locked in price of only $19.95 per month. Call us today to switch your internet to PCS!